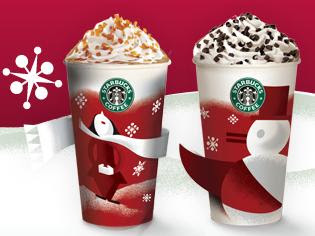 Starbucks is offering two special drinks during this christmas, Peppermint Mocha and Toffee Nut Latte!!!! since i m a mocha lover, i tried peppermint mocha.. I would say the Peppermint Mocha is really nice.. *thumb up* the taste of peppermint with mocha is so refreshing, not too much peppermint and the taste is like PERFECT.. it make me want more and MORE!! i gonna enjoy it gao gao!! as the promotion will run until 5th of january..